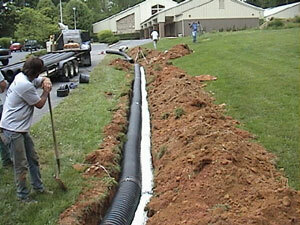 A drainage pipe is used to drain water from one place to another in order to dispose of it. They solve many problems and are very important in the construction of houses. Drainage pipes are different from one another depending on what problem they need to solve. For example the most used ones are the ones made of PVC. Below there is a list with some types of drainage pipes. 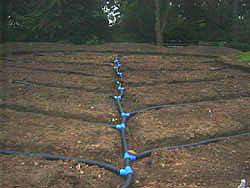 The first type discussed is the corrugated polyethylene drainage pipes. The benefits of this type come from the durability, price and effectiveness of it. Also the material, polyethylene is very resistant and corrosive. Actually they are known to handle even the worse weather conditions. This is why this type is one of the most used for drainage pipes. 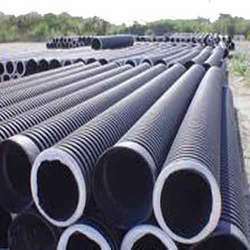 Another common type is the PVC drainage pipes. They benefit from a low price, resistant material and easiness to handle. Because of the material you can easily combine two pipes with some glue, no need of other welding. As downsides we can notate the fact that they are rigid and unbendable. A type most known as building material is the concrete drainage pipes. They are used on a very large scale with great cost effectiveness, strength, and even environmental friendly material. Another eco friendly strong material is clay, used in clay drainage pipes. Their downside is the decreased durability, especially when faced with harsh weather or water pressure. The solution for this is actually to cover the pipes with concrete which assures a much better durability. One type that is used is sewage systems is the cast iron drainage pipes. They are used to transport water underground, they have great durability, actually even a hundred years of use and they will still do the job. One type that is starting to disappear fast is the copper drainage pipes. The fact that they are not that used anymore is due to the increased price of copper and actually because they rust in time. Also they have other downsides which place them way back other types of pipes. Hopefully these descriptions have made you an idea about what drainage pipes you would like to have.